I actually managed to get to the pub early for a change and it was great to see another good turnout of fifteen anglers at the draw. 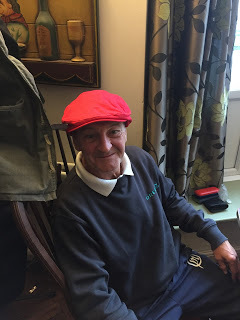 Steve P had a rather fetching new hat on and we think he was going for the Bob Nudd look but somebody said he was more like ‘Nob Budd!’, see what you think? Steve (or should that be Nob Budd) had a new hat! Rob announced the draw and put Steve’s hat to good use, by the time I delved in there were just two pegs left, I grabbed one and Ash had the other, I ended up on peg 4 which is okay but I just can’t seem to draw a peg on the near side, Ash doesn’t suffer from the same problem as he pulled out peg 20. 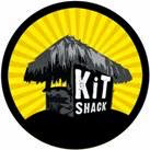 I drove round and dropped my kit off and I have to say a massive thanks on behalf of the club to Rich S, Hurf and Jake who had been out in the week, strimming the vegetation back, generally tidying up the swims and had done a fantastic job. 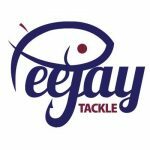 My neighbours for the day were Jake in peg 2 and Alvin on peg 6 but I couldn’t really see them, the only anglers I could see were Fieldy, Jess and and Karl on the bottom bank and Rich S and Rob over on pegs 18 and 19. The side bet club today was Hurf, Steve P and me. Rigs were the usual 0.5 gram Drennan Roach for fishing on the deck and a little Preston Chianti for fishing up the water. I mixed up some Bait-Tech Pro Nat Bream with a little Thatchers Dark and maggots, casters and hemp completed the fishes banquet for today. On the whistle I cupped in two balls of groundbait at 10 metres before starting with the deep rig and caster on the hook, of course I missed the first bite but next chuck hooked a slightly better fish which turned out to be a 4oz hybrid (or Zooner! ), a few small roach followed and then a decent rudd and I was off to a good start. Things got even better when after about 20 minutes a good bite resulted in solid resistance and I carefully shipped back before netting a pound and a half skimmer – bonus! I was getting a bite a chuck, mainly from 1-2oz roach and then I’ve hooked another fish that pulled a fair bit of elastic out, this time it was a lovely little tench around 8-10oz and I was really enjoying myself. After an hour I had 32 fish for probably between 4-5lb but I was itching to try the shallow rig to see if I could catch some of those big roach. To be honest, it was really hard going and although I was getting bites I was missing loads (nothing new there then!) and when I did connect with one, the roach were no bigger than the ones I was catching with the deep rig. I spent far too long trying to make it work and in 45 minutes I only had 8 fish, I went back to the deeper rig and had another 8 fish in the remaining 15 minutes of the second hour. Sticking with the deep rig, my catch rate improved in the third hour when I caught in spells and added another 21 fish to the net and my clicker was reading 69 at the halfway stage. 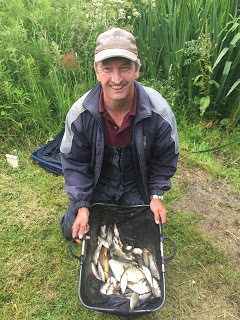 At this rate I would end up with a similar number of fish to the last match when I weighed just short of 12lb and with my two bonus fish today, hopefully I’d have nearer to 14lb which I thought wouldn’t be to far away today. Jess down on peg 14 hooked into a turbo charged beast that eventually snagged him in the reeds (sounds painful!) and he lost it. Going into the fourth hour, I was still catching roach but I just couldn’t catch quality, I kept trying the shallow rig but it still wasn’t happening and unusually there weren’t fish swirling for the loose feed. Big Frank turned up to see how we were getting on and reported that Rob on 19 was struggling and Ash next door was catching but not really bagging up and when he said that Fieldy only had ninety odd fish (and I wasn’t far off that number myself), I started to think I might be doing okay. 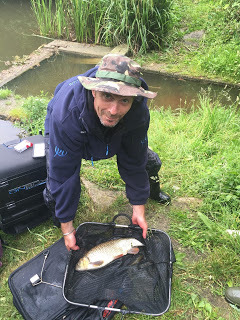 Frank went to see how Jake was doing and any thoughts I had of winning soon evaporated when he came back and said his boy was bagging and already had two good bream and eleven skimmers on the feeder! 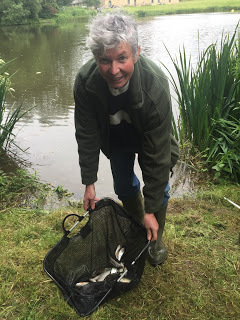 My catch rate was still ticking over but as the penultimate hour arrived it was obvious I was going to fall short of the number of fish I had in the last match. 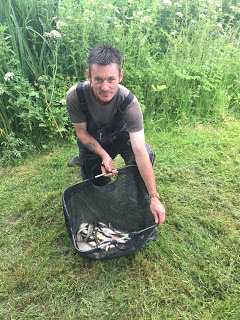 As very often happens, some better fish started to show as we neared the end of the match and I had my two biggest roach with one right on the whistle. 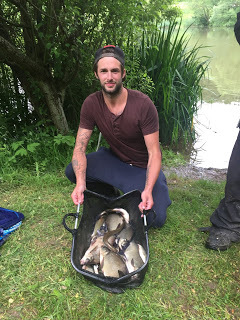 I ended up with 110 fish which would give me around 10.5lb if they averaged an ounce and a half apiece and hopefully the skimmer and tench would boost my weight to 12-13lb. Alvin had the scales and soon arrived at Nick in peg 1 and he had 3lb 4oz which included a nice chub. Next we got to Jake who had slowed up after Frank left but he’d added a couple more skimmers and some eels and after two weighs his total was 25lb 14oz, a cracking net of fish. 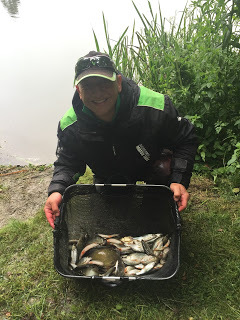 Then it was my turn and I was a little disappointed to weigh 10lb 6oz and the lack of quality showed, Fieldy said it would be very close between us so I knew he’d beaten me! Alvin had 7lb and then Ilton’s answer to Bob Nudd, Steve P had 6lb 14oz which included four lovely little tench. 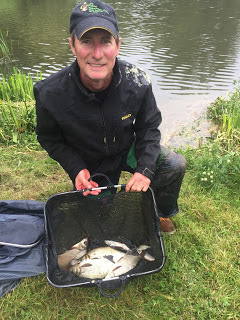 Hurf had four skimmers for 4lb 5oz and the massive bird poo on his shoulder didn’t bring him any luck as I won the side bets again. 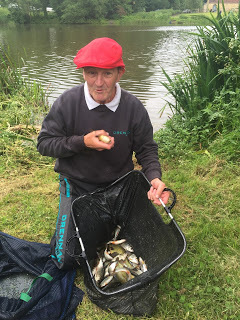 Gordon had 1lb 5oz from peg 10 and then Graham had over 200 hundred fish for 13lb 6oz (so not close at all then!) and I needed him to frame to win the section by double default. We got round the other side for the results and Ash had the top weight in that section with a brilliant 23lb of quality roach and rudd followed by Terry Morgan who had the best weight from peg 24 this year with 12lb 1oz, Terry had some skimmers on the feeder, a lovely tench of 2lb 2oz and a chub but he also lost three which would have put him close to the top weights. 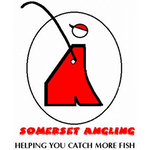 Jess had 7lb 2oz from peg 15, Rob had 6lb from peg 19, Adie had 5lb 9oz from peg 22, Karl had 3lb 5oz from 15 and Rich S had 3lb 3oz from 18. *Rob took some photos of the other section so as soon as he sends them to me, I’ll upload them. So I won my section again and picked up £20 but I’m still not getting it quite right, I was 3lb off framing and I spent too long trying to catch shallow. Also for the first time in four matches, I didn’t have any of those chublets. 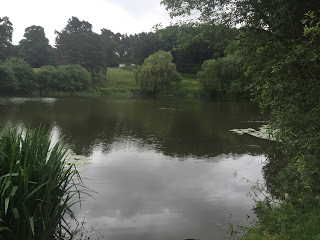 So the fishing continues to be really good with the top five all catching double figures on a variety of methods with bites galore and plenty of bonus fish featuring in catches as well, what a venue! In the league, it’s early days but after four matches and dropping the two worst results, Ash and Alvin lead the way with two points followed by Jake and Graham on three.